This entry was posted in Cycling, History, Planning and tagged Cambridge, Development plans by rich257. Bookmark the permalink. The cycle network in Stevenage was not somewhere you’d want to go in the late 70s and early 80s. Poorly lit in many places, subways used (or perceived to be) by junkies, lots of broken glass and other sharp stuff on the paths… basically a basket case. Glad to hear it’s being “averagely” used at least now. Not only Wadloes Road, but Barnwell Road got done as well. Some of my favourite examples of ‘nearly good enough’ infrastructure in Cambridge. However, no good way was provided from getting across the roundabout from one to the other. However you have to wonder about the mind which thought up a grid of cycle routes which had such large wholes in it. What are people who live between Mill Road and Newmarket Road supposed to do to get to the city centre, for instance ? Of course, it was an early proposal and if it had been build, we can hope it would have formed the basis for a more comprehensive network. It took the Dutch another 15 years before they realised how important it was to have a comprehensive grid of high quality routes on a very fine pitch, and from that point they’ve not really looked back. Britain is “forty years behind” now even though the country could have been in front. Much the same is wrong in the New Towns, including Stevenage. They had good intentions at the start, but the quality wasn’t high enough to get to modern day Dutch levels of cycling and the paths were not maintained well enough. Perhaps crucially they also didn’t bother expanding the network as the town expanded. 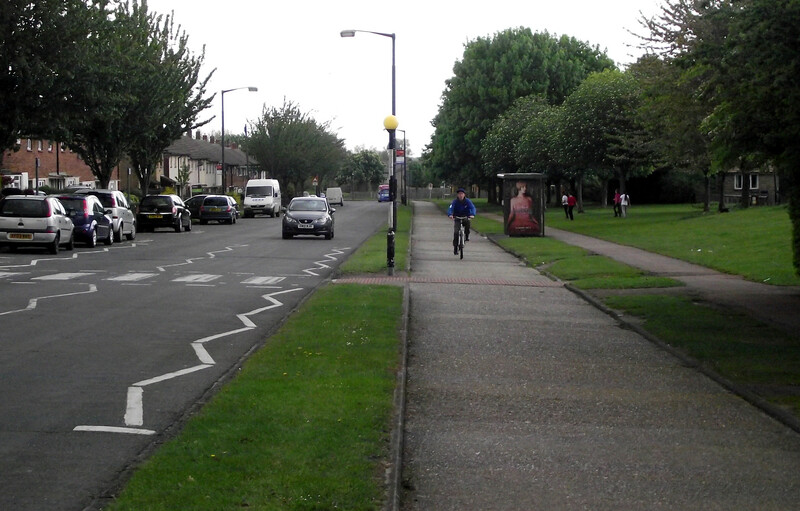 Nowadays you simply can’t get to everywhere in Stevenage by using the cycle-path network build there. For that reason the network “failed”, but I think that’s a bit unfair. Stevenage’s network could never logically have been expected to be able to provide for a high proportion of journeys to places where it didn’t go !